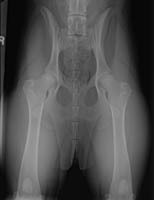 Comparison of Hip Xrays | Kuvasz Fanciers of America, Inc. This comparison came about when Arizona Humane requested KFA Rescue accept a16 month old kuvasz the owner had surrendered into our rescue program. Surprisingly they had taken hip studies. 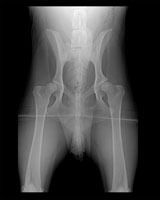 The report from the shelter vet on the hip studies was, “pelvic radiographs reveal slighly shallow acetabula and slightly thickened femoral necks, however over all acceptable pet quality hip conformation for patient size and breed”. 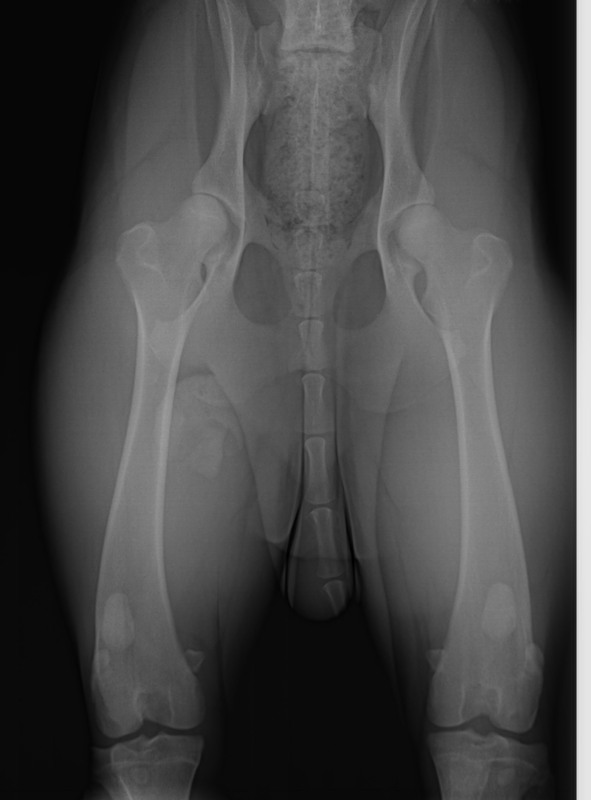 At the same time, breeder and KFA Secretary Gail Dash had preliminary hip studies done on two of her 13 month old pups and had the reports from OFA. We decided to compare the studies. To us, the hips on the rescue dog looked in no way “acceptable”. Just to double check our non-veterinary reading of the films, we emailed them to OFA asking for a quick opinion. Dr. Keller’s opinion is below. The rescue might well lead a healthy asymptomatic life, we were only questioning AZ Humane’s vet’s interpretation of the same hip xray we were looking at. 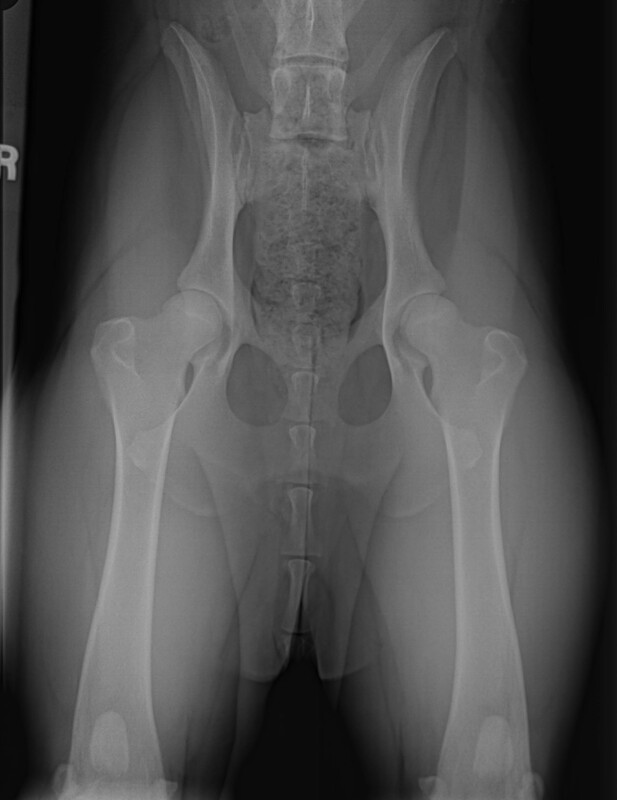 pelvic radiographs reveal slighly shallow acetabula and slightly thickened femoral necks, however over all acceptable pet quality hip conformation for patient size and breed. Bilaterally the hips are subluxated and there is remodeling of the femoral necks and cranial acetabular margin. 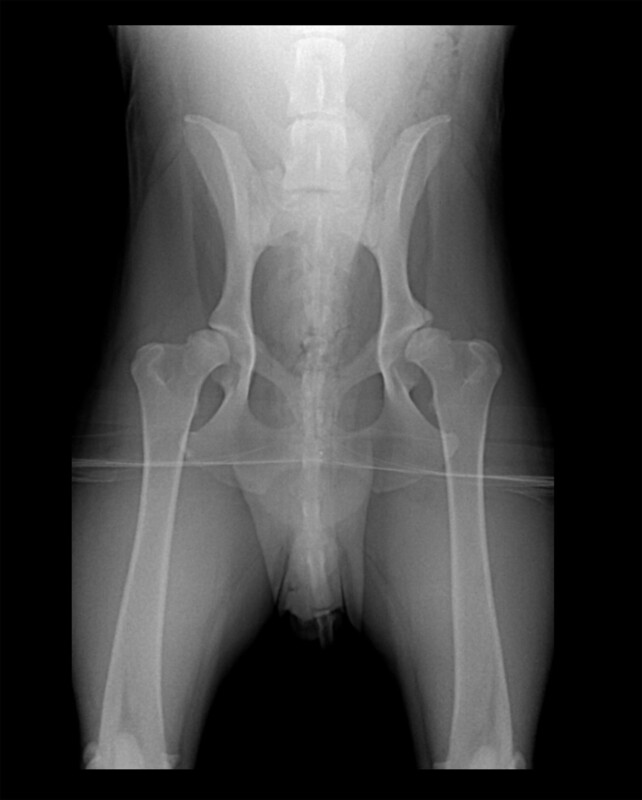 Comment: for age and breed severe canine hip dysplasia.